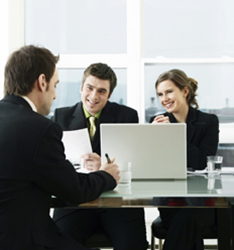 Almost every business today is faced with bilingual staffing needs. In many circumstances, your human resources department may need quick access to specific talent and language skills. Certified Staffing Specialists Inc. bilingual staff provides an excellent resource for employers who depend on a diverse workforce to sustain and grow their business. Jay Shimotake, a native of Yokohama, Japan, and Bilingual in Japanese-English, understands the culture and diverse business needs of our Japanese clients. Jay?s expertise in Bilingual recruiting makes Certified Staffing Specialists Inc. the leading authority in the Chicago area. Whether you need temporary bilingual staff, short term projects or an entire team of bilingual professionals, Certified Staffing Specialists Inc. has the talent, experience and expertise to satisfy your needs. Contact us today and let our team of expertise handle your bilingual problems.